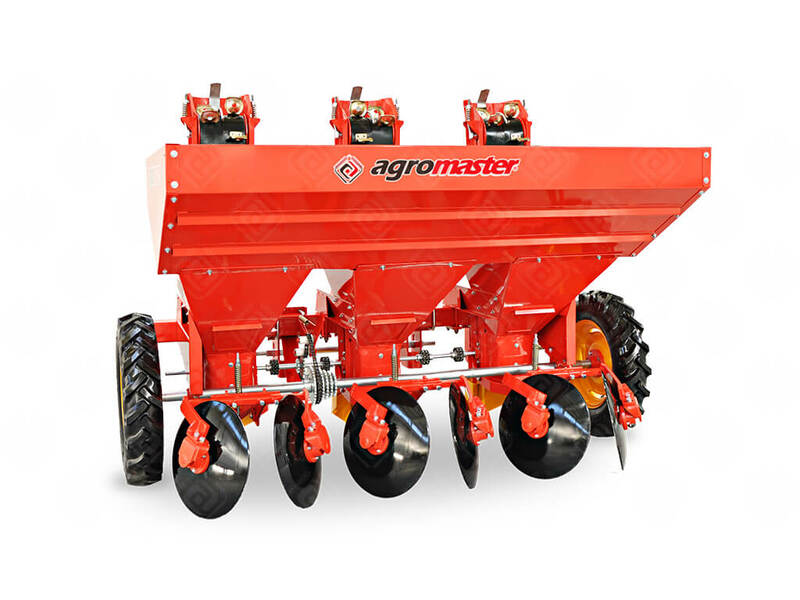 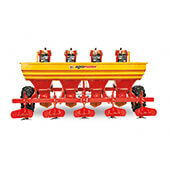 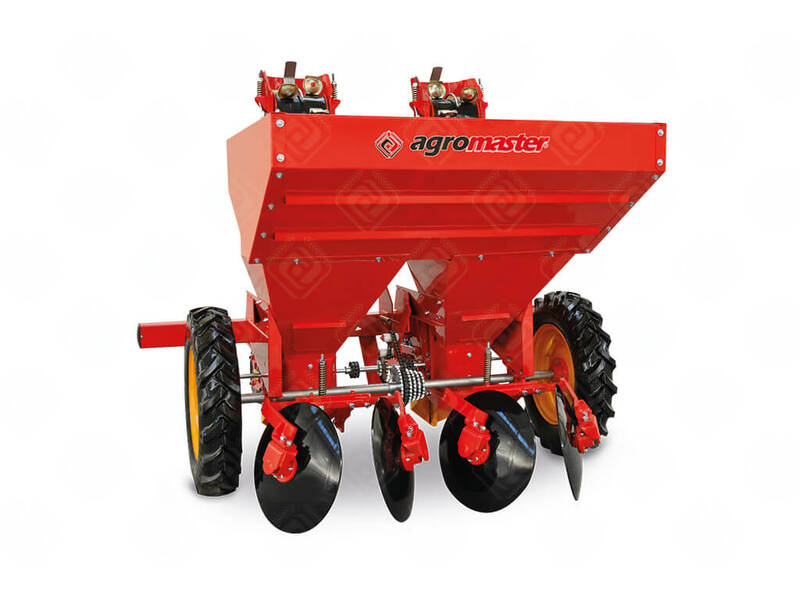 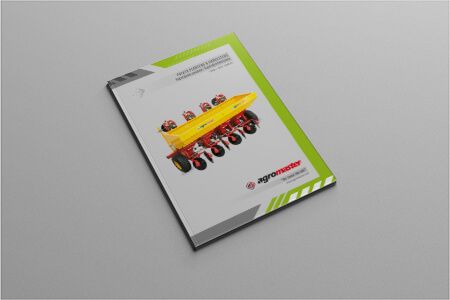 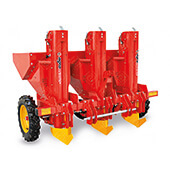 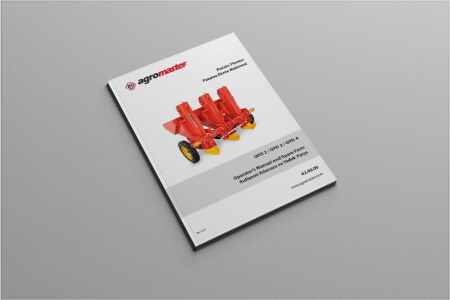 2 / 3 / 4 Row potato planter is produced with hydraulic lifting lever and universal three point linkage system. 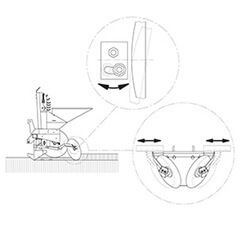 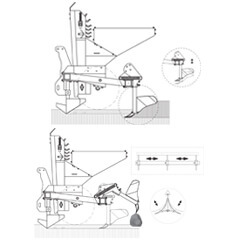 Sowing row space can be adjusted to sow 12 different positions by changing the transmission gears. 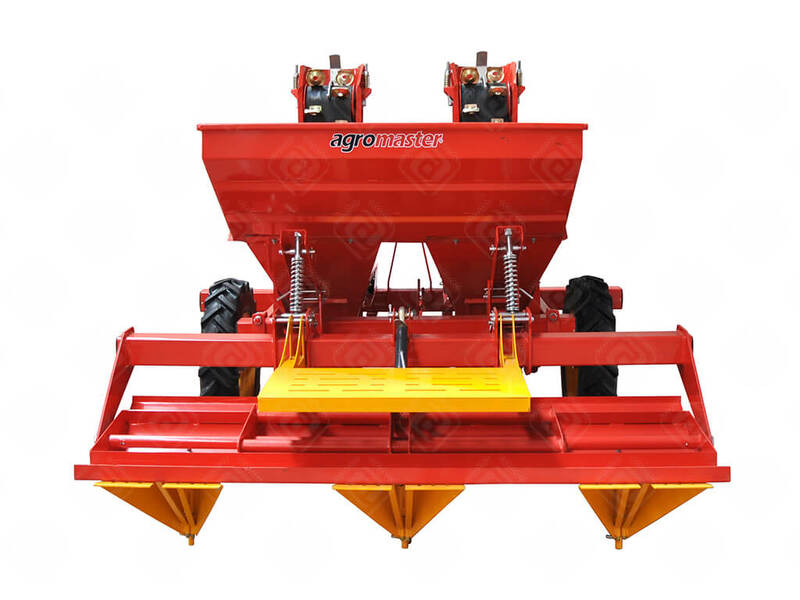 And also this machine has a special belt with bucket that enables to sow singly.The spaces between rows are whether stable or can be adjusted from 62 to 75 cm. 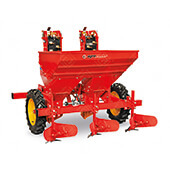 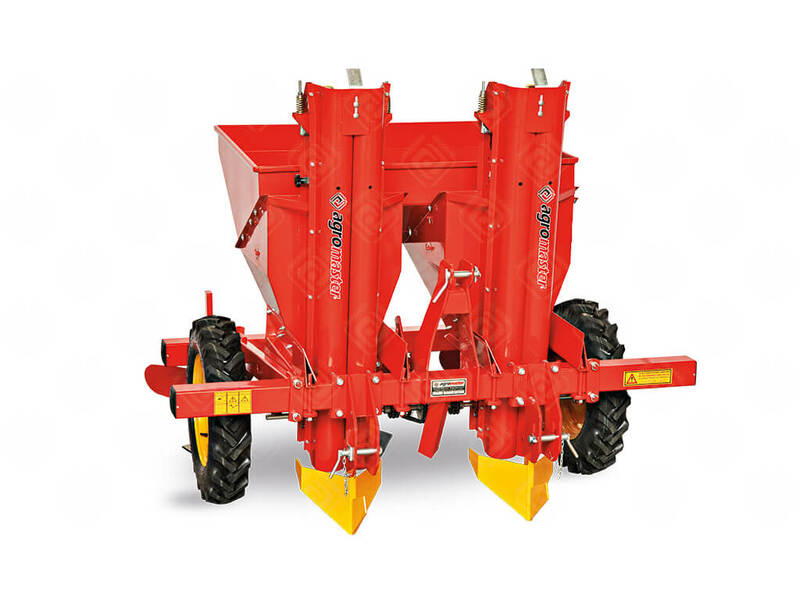 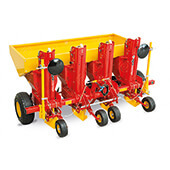 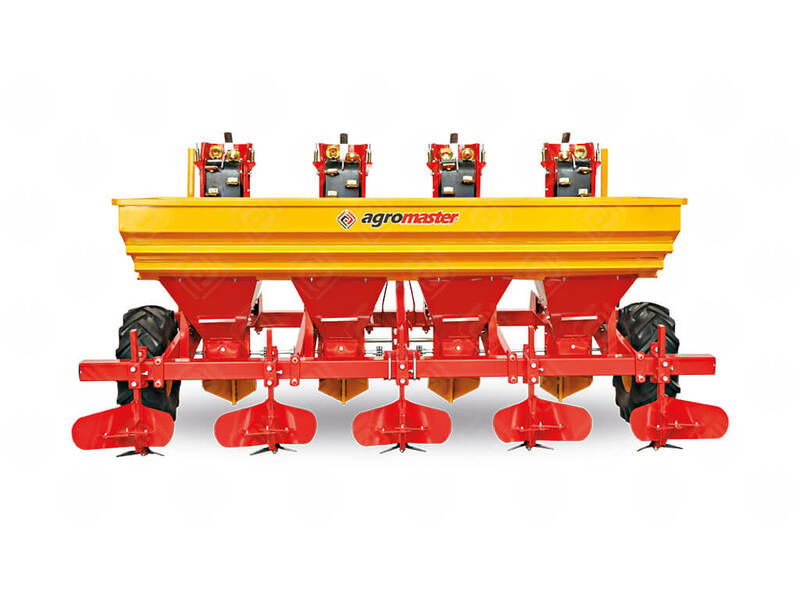 Seed Closer with Ridging Body Seed closer with ridging body that equipped with two ridging bodies and channel openers are engaged to each sowing unit which is lined up on a single chassis. 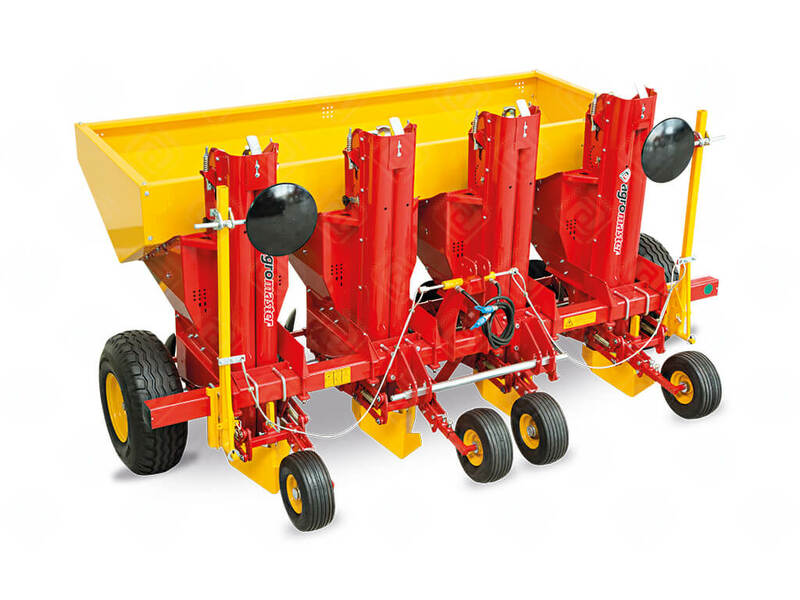 Seed Closer with Disc Seed closer with disc that equipped with two discs and canal openers are engaged to each sowing unit which is lined up on a single chassis. 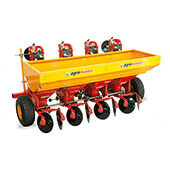 Seed closer with shaping board can be shape the soil which is a different specification from other seed closers. 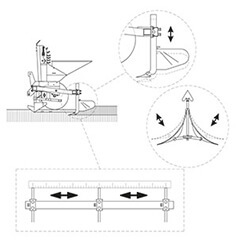 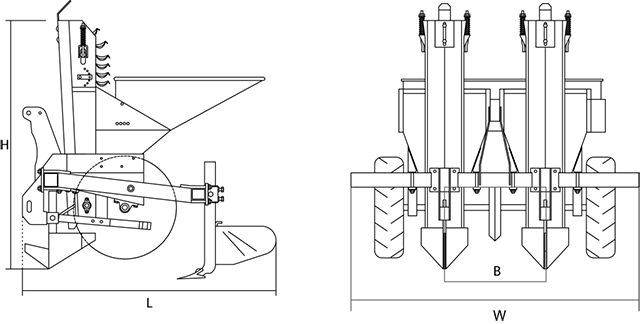 Shaping board device is a mechanism flexible working by preventing the angle by means of spring parallelogram construction and whose angle can be adjustable by means of two intermediate lever. 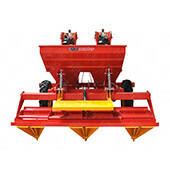 It is composed of two different wing plates. 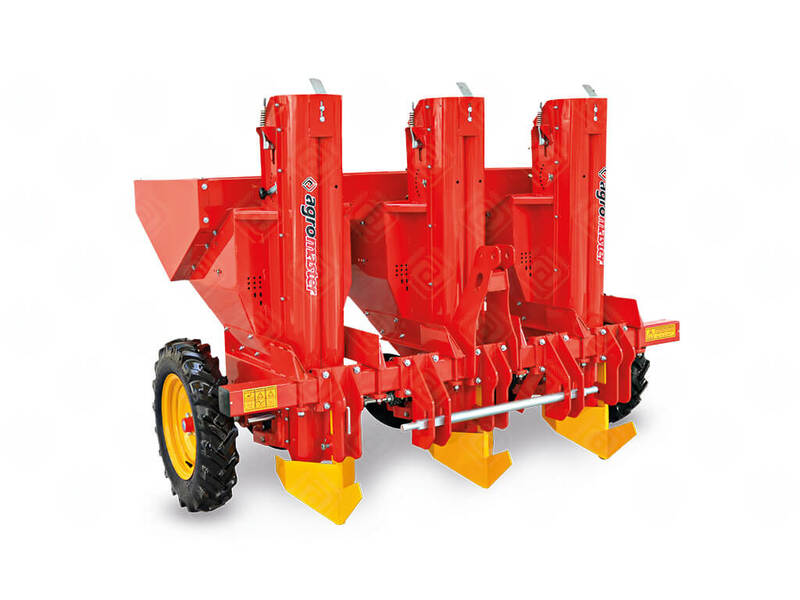 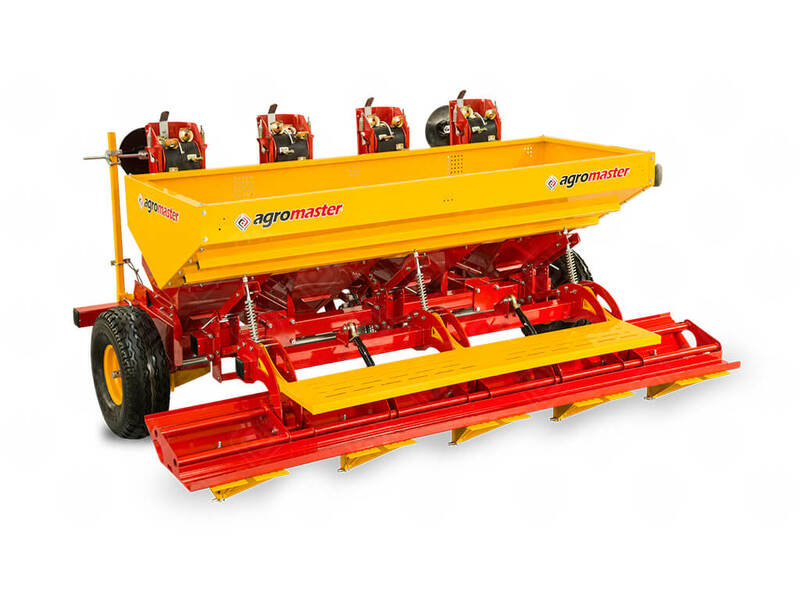 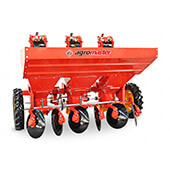 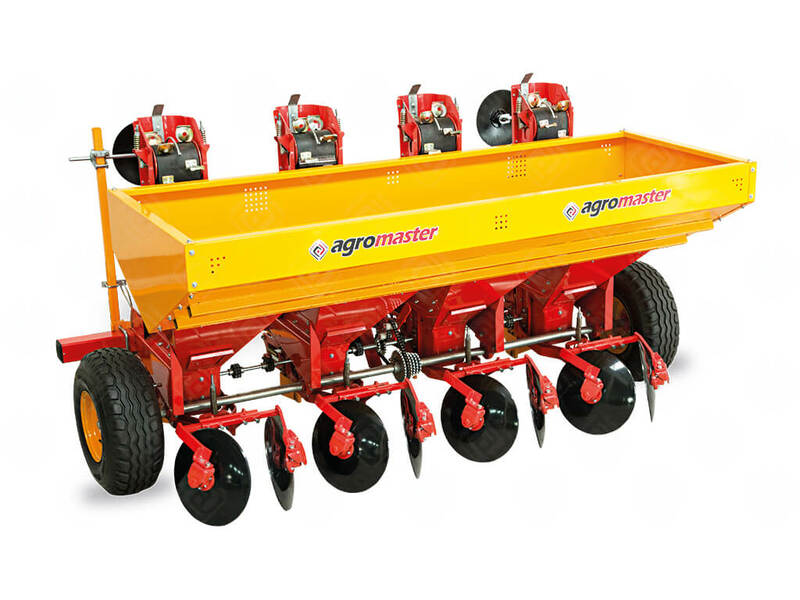 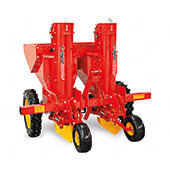 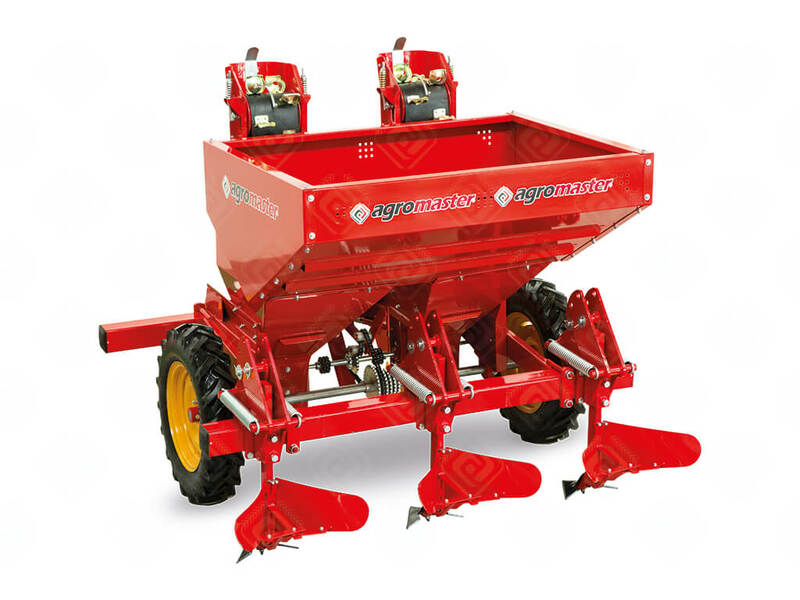 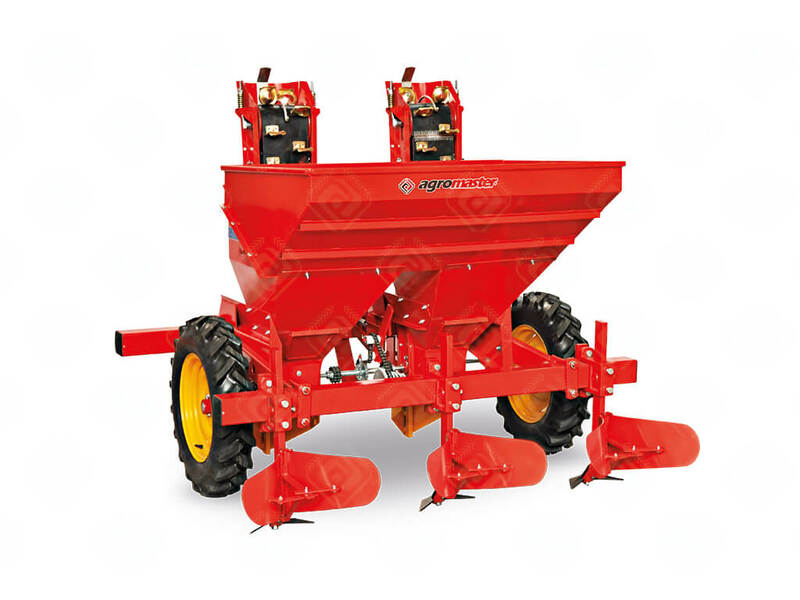 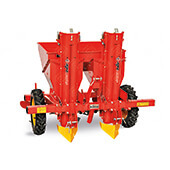 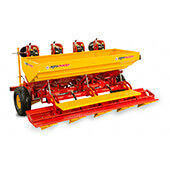 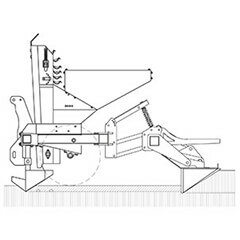 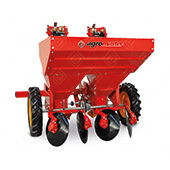 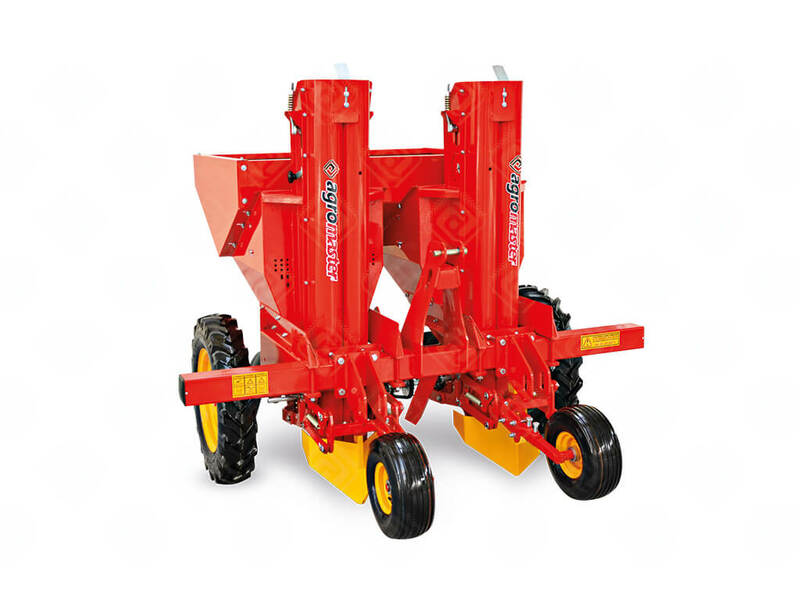 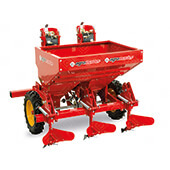 Seed Closer with Spring Ridging Body Seed closer with spring ridging body that equipped with two ridging bodies and channel openers are engaged to each sowing unit has spring which is lined up on a single chassis. 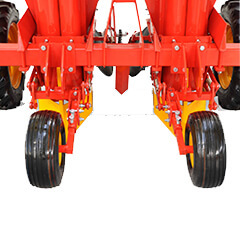 Seed Closer with Disc Seed closer with disc that equipped with two discs and canal openers are engaged to each sowing unit which is lined up on a single chassis.